New Watches Sourced From Authorised Dealers At Low Prices! TAG Heuer watches have been Swiss Watches Direct's number one watch brand since our inception in 2005 with discounts up to 25%. 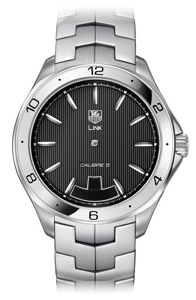 The TAG Heuer watch range is composed of Formula One, Aquaracer, Link, Carrera and Monaco watches. The TAG Heuer Grand Carrera being their premier range of watches. All TAG Heuer watches are supplied with the official TAG Heuer warranty card activated by the authorised dealer. Breitling is one of a few brands that Swiss Watches Direct specialises in, selling the full range with a 20-25% saving on the UK retail price. This includes the Bentley range of watches which are Breitling's premier style. All the Breitling watches come with an electronic warranty card which is activated by the authorised Breitling dealer just a few days before delivery to our customers. This card shows the full details of the watch including the model number and serial number. Swiss Watches Direct sells the full range of these highly prestigious and reliable Omega timepieces. The Omega watch range includes Constellation, Seamaster, Speedmaster and De Ville watches. Omega's premier range of watches is the Hour Vision. All our customers will receive the official Omega warranty card stamped by one of Omega’s authorised dealers with the watch's model and serial numbers printed on the card valid for 5 years (increased by Omega on 1st July 2018). The full range of Longines watches is available from Swiss Watches Direct including their sports range, Hydro Conquest. Other Longines watch styles include La Grande Classique, Master Collection, Saint-Imier, DolceVita and Heritage Collection. All watches are supplied with the official Longines warranty card stamped by one of their authorised dealers bearing both the model number and serial number of the watch. 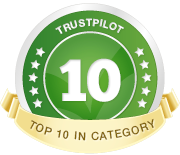 Trustpilot's watch category now has around 200 UK companies and we are consistently in the top 10%. We are very proud of the service we provide to enable us to be rated so highly by our customer's reviews! Spring is the time of the Basel Watch Fair in Switzerland, so look out for all the new releases that will start appearing on our website over the coming months. Please call us if you cannot see any new models listed and we will be happy to check the availability for you. All our watches are brand new authentic watches supplied with the manufacturer's boxes, manuals, official certificates and the authorised dealer stamped international warranty - Identical to you buying from the dealer direct!